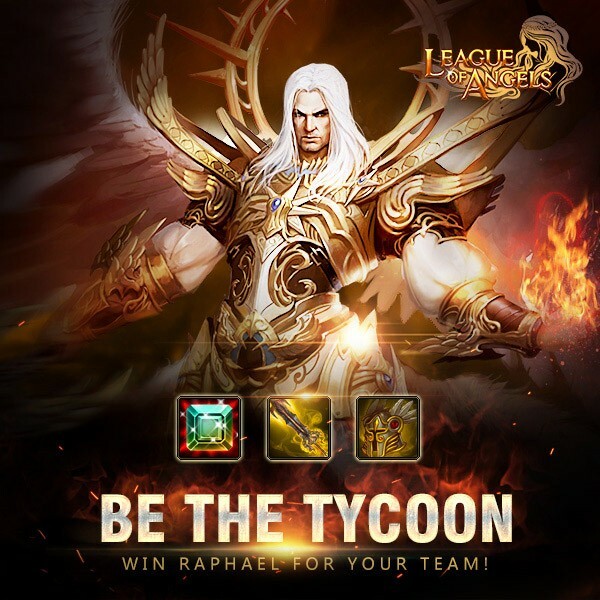 LoA_Be the Tycoon, win Raphael for your team! 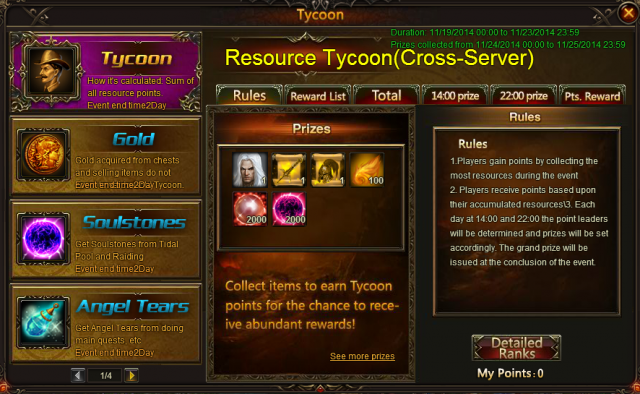 Collect the required resources to win New male angel Raphael, Imperial Weapon Print, Imperial Helm Print, Lvl. 12 Cherubstone and many other rare items! 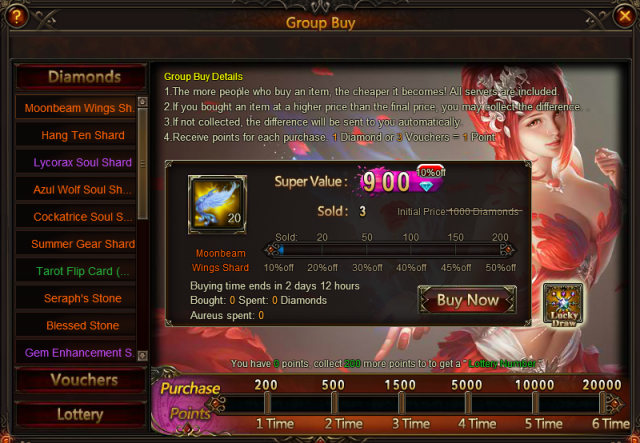 Group Ticket x1000, Gem Enhancement Stone x400 and Refining Stone x500. More exciting events are coming up through Nov 19 to Nov 23, check them out in the in-game How Events menu now!